FILL IT OUT! 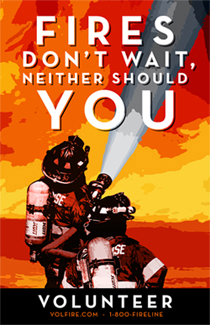 Complete the PVFD Member Application. Find it HERE. DROP IT OFF! Return the completed application to the Ponder Fire Station at 102 E Bailey Street. SHOW UP! Begin attending the PVFD meetings and trainings immediately. Meetings are held every Tuesday at the Ponder Fire Station. Give back to your community, learn valuable skills, create lifelong relationships, make a difference in someone's life. Making a difference in someone's life, possibly saving a life! Being part of and helping your community!